Qatar Airways is celebrating a successful month of April with a host of award wins across a variety of categories, highlighting its outstanding onboard hospitality, passenger experience and commitment to charitable initiatives. The airline won two separate accolades at the 2019 Onboard Hospitality Awards that took place in Hamburg, Germany on 1 April. 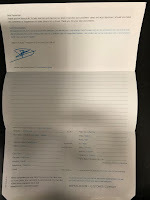 In recognition of the importance of sustainability, innovation and corporate social responsibility and responding to trends, Qatar Airways and FORMIA won a special award for ‘Best Charitable Initiatives’ in recognition of the airline’s breast cancer awareness amenity kit, which was cited as a worthy initiative, helping to raise awareness of an important cause in a simple but effective manner. 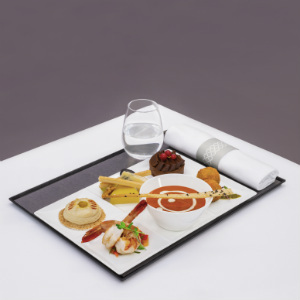 Qatar Airways also received the ‘Trendsetter of the Year’ award’ for its versatile Tasting Platter, an express dinner option aimed at optimising rest and sleep on overnight flights from Europe. This concept was found by specialist judges to take the tasting menu trend to a new level for premium passengers. The airline also received ‘Highly Commended’ in three categories: ‘Best Onboard Catering Innovation’ for the elegant Caviar presentation, ‘Best for Onboard Kids’ and ‘Best for Onboard Snacks - First and Business Class’. The airline’s First Class male amenity kit and its goody bag for children also won two Gold awards at The TravelPlus Airline Amenity Bag Awards ceremony that took place in Hamburg, Germany on 2 April. These awards are judged by passengers and celebrate the design excellence of amenity kits, sleeper suits and bedding. The airline’s win at the PAX International Readership Awards on 3 April for ‘Best Middle East Economy Class Amenity Kit’ rounds off wins for the airline’s Product Development and Design department in April. Qatar Airways Group Chief Executive, His Excellency Mr Akbar Al Baker, said: “We would like to thank the judges and our passengers for presenting us with these awards. To be recognised across such a diverse spectrum, from Onboard Catering to Product Design, is a reflection of the dedication and hard work of all our employees throughout the organisation. “As an airline, we constantly strive to provide the best service to our passengers and we are honoured to be recognised through the volume of awards presented to us recently by prestigious industry leaders. We remain committed to offering our award-winning service and to further enhancing our customers’ flying experience.” Qatar Airways was also awarded the PAX International Readership award for ‘Best Cabin Interior Passenger Experience’ and received the ‘Best In-Flight Duty-Free Programme’ award for the Middle East - the third time in four years that it has won this award – at the recent ceremony in Germany. In addition, the airline named ‘World’s Top 10 Airline’, ‘World’s Best Business Class’, ‘Middle East Best Airline’, ‘Middle East Best Major’, ‘Middle East Best Business Class’, and ‘Middle East Best Economy Class’ by TripAdvisor Travellers’ Choice Airline Awards 2019. Qatar Airways currently operates a modern fleet of more than 250 aircraft via its hub, Hamad International Airport (HIA) to more than 160 destinations worldwide. The airline will add a number of new destinations to its extensive route network in 2019, including Lisbon, Portugal; Malta; Rabat, Morocco; Izmir, Turkey; Langkawi, Malaysia; Davao, Philippines; and Mogadishu, Somalia.